The free event is being planned by McKnight’s Long-Term Care News, which is the sister publication to McKnight’s Senior Living. Attorney Sean Fahey will present at 1 p.m. ET in a session called “Residents’ rights vs. the new regulations.” The session will cover how to balance staying compliant with new requirements of participation for long-term care providers with residents’ wishes. The expo’s final educational session will begin at 2:30 p.m. ET. “The role of clinical technology in meeting Mega-rule requirements” will feature nurse executive Judi Kulus. Providers have an opportunity to earn one free CE credit for each session. 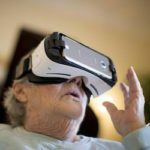 The Fall Online Expo also will include a virtual exhibition hall, which will enable attendees to meet with vendors and learn about long-term care products and services with a few clicks of a computer mouse. The expo will take place anywhere an internet connection can be found. Visit this page to learn more about the speakers, sessions and registration. Click here to register for the event.